Cash Credit: Working capital facility to dyeing unit and packaging unit. Mid term Loan: For procurement of machinery, space parts, boiler, generator, vehicles etc. to export oriented industrial unit. Packing Credit: Working capital facility to pay wages salary utility bills etc. LTR, FC: Short term credit for procurement of capital machinery from abroad. Term Loan: For (Export oriented) Ship Building. Export Project BMRE: Loans and Credit Facilities for factory building construction. Expansion, development and Maintenance, construction of factory godown, purchase of machineries from local and foreign markets, covered van, generator and establish ETP. Here given details commodity wise export figures of Janata Bank Limited from 2006 to 2009. It has shown here commodity wise and monthly wise export figures in details. In 2006 total export of Janata Bank was Tk. 7089.66 crore. Ready Made Garments was Tk. 3549.82 crore and it was the highest position. Hide & skin and frozen fish took the second and third position consequently. It is also clearly observed that in the month of August and September export amount was highest through the year. In 2007 total export of Janata Bank was Tk. 7185.55 crore. Ready Made Garments was Tk. 3540.93 crore and it was the highest position. Hide & skin and frozen fish took the second and third position consequently. First half of the year 2007 export amount was comparatively better position than the second half of the year. It is also clearly observed that total export amount of 2007 is little bit higher than 2006. In 2008 total export of Janata Bank was Tk. 8541.76 crore. Ready Made Garments was Tk. 4189.92 crore and it was the highest position. Hide & skin Tk. 837.53 crore and frozen fish Tk. 822.23 crore took the second and third position consequently. Throughout the whole year 2008 export amount was comparatively better than the last two years. It is also metion here that total export amount was significantly higher than 20060and 2007. In FY 2009 target export was Tk. 66480.00 million, but earned Tk. 88653.10 million against the target amount. This was 133% higher than the target. It may mentioned here that up to October 2009 earned was Tk. 7231.80 million, that means target of export had attained before two months end of the year. Scope of establishment of export oriented industry by 100% foreign investment and by joint venture. Full fledged infrastructural and logistic support for export i.e. project finance, working capital, pre-shipment & post-shipment export finance, guarantee, bonding facility, etc. Consulting facility by an expert group of officials. From 2006 to 2009 export of Janata Bank is in increasing pattern. Even during world economic crisis period Janata Bank’s management shows their best performance. That is why export position remains in upward condition. In spite world economic crisis export growth has increased 4%. Which is highest among four government owned banks. For global economic recession and political instability inside the country contribution to national export of Janata Bank limited was lowest in the fiscal year 2007-2008 among last six fiscal years. And in fiscal year 2008-2009 it turned up warding. Because to increase export business providing the exporter more foreign currency, to strengthen their production capacity, to facilitate the in every maximum scope, the bank has took four incentives. These have been proved to be fruitful adding Tk.2.00cr (approx.) more to the bank’s annual income through only export business. In addition with the existing working capital it provides exporters emergence need to execute their foreign order. For importing bulk quantity of dies, chemical it is a great support for the exporter. Loan for importing generator, small machines, vehicles for emergency need. Total export Janata Bank Limited in 2009 was Tk.88653.1 million. Sonali Bank’s export was Tk.64243.3 million. Agrani Bank’s and Rupali Bank’s export was Tk.44606.8 million and Tk.7458.1 million respectively. From above table and graph we can say that Janata Bank Limited is the top position among four government owned banks with a large difference. Its nearest competitor is Sonali Bank Limited. Traditionally Janata Bank Ltd. is pioneer in handling major portion of country’s import business. The total volume of import as on 30-11-2009 is 107168 million. Major import items are industrial raw materials, chemicals, capital machineries, scraped vessels and petroleum etc. Through quite a good number of Authorized Dealer Branches and 1198 nos. foreign correspondents world wide Janata Bank Limited has been extending full range import and relevant finance facilities. Setting Industrial vision to facilitate optimally, bank’s involvement has been showing sharp rising trend. 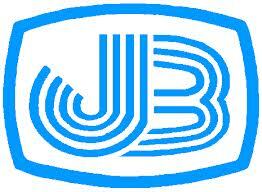 From 2000 to 2006 import of Janata Bank Limited is gradually increasing. But in 2007 the country was under caretaker government. Export, import, foreign remittance, employment in abroad etc. were moving forward in slow rate. For this reason import in 2007 sharply down compare with 2006. Again in 2008 import of Janata Bank Limited reached higher than 2007. And in 2009 import is dropped little bit. Increase of import indicates the country is less wealthy and decrease of import indicates that the country has sufficient resources and is able to fulfill its local demand. So as a publicly owned bank Janata bank Limited is less service providing attitude to the importers. It provides little facilities to its importers. As a result import contribution percentage to national is decreasing gradually from fiscal year 1995-1996 to fiscal year 2007-2008. Inward foreign remittance through Janata Bank Ltd. up to November 2009 is Tk. 51508.55 million. Foreign remittance from NBRs reached record high of Tk. 45924 million in 2008 against Tk.36788 million in 2007 and continue to play an important supporting role in strengthening the economy of the county Janata Bank ltd. by reducing lead-time, has ensured quick delivery of foreign remittance, an NBR branch has been opened to serve exclusively Non-resident Bangladeshis through Speedy Money Remittance System with instant to the beneficiaries. Anybody willing to remit foreign currency from any corner of the world can use wide network of the bank. The remittance reaches to the beneficiary within 3 days without charging any commission. Our worldwide network includes 4 branches in UAE, 2 exchange houses in Italy and correspondent relationship with all the major Banks and all important trade centers of the world. Recently Janata Bank Ltd. has launched its Speedy Foreign Remittance Payment System which enables beneficiaries to receive their money within shortest possible time. The beneficiary also gets information of remittance through automated SMS. It’s a secured, easy, cost effective and speedy way of remittance for the remitter. To facilitate sending money in Bangladeshi Taka directly, Janata Bank Limited has Taka Drawing Arrangement with many banks/exchange companies in different countries. The expatriate Bangladeshis may send their money in BDT (Bangladeshi Taka) through the branches/subsidiaries of Janata Bank Limited and foreign banks/exchange companies. Remittance services are available at all branches and foreign remittances may be sent to any branch by the remitters favoring their beneficiaries. Remittances are credited to the account of beneficiaries instantly or within shortest possible time. Inward remittance from Bangladeshi nationals working abroad continued to play an important role in strengthening the current account. Receipts on this sector increased gradually in every year from 2006 to 2009. The underlying reason was that Bangladesh Bank has simplified the approval policy of drawing arrangements between foreign exchange houses and domestic bank. Janata Bank’s management has taken this opportunity. 2. LDE, Ctg will cover whole Chittagong Division, except branches under greater Comilla and Noakhali Area. 7. Comilla Corp. will cover all branches under greater Comilla district. 8. Noakhali Corp. will cover all branches under greater Noakhali district. Commission for issuance of Taka Drafts from our UAE branches has been reduced and refixed from AED 10.00 to AED 4.00 and commission for issuance of TTs drawn on Bangladesh and payable at any bank branches are re-fixed at AED 12.00 from AED 30.00. Commission for issuances of Taka drafts at UAE branches has been reduced irrespective of amount. 1% interest above the normal savings deposit rate is offered to SB accounts receiving foreign remittance. Inward remittances from Bangladeshi nationals working abroad continued to play an important role in strengthening the current account of Bangladesh Bank. Receipts on this sector increased by 22.4 percent to USD 9689.3 million in FY 09 from USD 7914.8 million in FY 08. The underlying reason was that Bangladesh Bank has simplified the approval policy of drawing arrangements between foreign exchange houses and domestic banks. As a result 40 banks have been allowed for establishing 820 drawing arrangements with 208 exchange houses all over the world for collecting remittances. Due to these measures, remittances have recorded a substantial increase by 22.4 percent to USD 9689.3 million during the year 2009. Remittances as percentage of GDP increased by 089 percentage points to 10.84 in FY 09 from 9.95 in FY 2008. The shares of major source countries in the remittance receipts of FY 2008 and FY 2009 are given bellow. This is the whole scenery of inward foreign remittance of 2008 and 2009 of Bangladesh. In the sector of foreign remittance earning 2008 Kingdom of Saudiarabia in highest position that is 29.40%, USA second position- 17.50% and United Arab Emirates is third position 14.30%. And in 2009 Kingdom of Saudiarabia again top position, in second position United Arab Emirates and in third position USA. Their inward remittances are 29.50%, 18.10% and 16.30% respectively. Export and foreign remittance are in good position. They are in increasing trend from 2006 to 2009. And due to global economic crisis and for various trade barriers and quotas import does not grow much higher compare with export and foreign remittance. In 2007 export and import are comparatively low with other years due to political instability inside the country. But inward remittance is continuously upward trend up to 2009. Global economic crisis due to the financial meltdown in USA and Europe. Withdrawal of restriction on China for RMG export to Europe and USA in 2009. Export volume has dropped due to lack of global demand. Lack of diversification, especially for export sector. Very high dependency on Textile and RMG Sectors to export. In case of import prices of commodities and raw materials in international market. Slow recycling of investment of commodity in commercial sectors. Low level of project Finance in 2007, 2008 & 2009 due to the national political instability. 01. The number of exporter and importer who operate through this bank is not enough to achieve the goal. So JBL should offer more facilities to attract their clients. 02. In addition with the present services they should include more services. It is badly needed to provide more quality services to their clients in order to compete in the market. 03. Foreign exchange department should be fully computerized that the exchange process would be convenient for both the bankers and the clients. 04. Bank should offer more facilities to the customers such as debit card, credit card, ATM machine etc. to survive in the competition. 05. One of the business strategies is promotion. Successful business depends how they can promote their products or services to the customers. In this connection to improve the business status the JBL should introduce more promotional programs. Lastly it can say that there are a lot of opportunities for increasing foreign exchange in Bangladesh if stay political stability. The Human Resources are cheapest here which play an important role in any business. Bangladesh government should take proper steps to maintain congenial atmosphere for sustainable foreign exchange business in the country.